With the release of the BlackBerry Pearl Flip 8220 (for GSM carriers), RIM marked a milestone with its first-ever flip phone. Fast forward a few months and the device began showing up on CDMA carriers in North America and has finally come to Verizon. Positioned as an "entry-level" smartphone, the Pearl Flip is geared towards new BlackBerry users and Pearl 81xx converts. 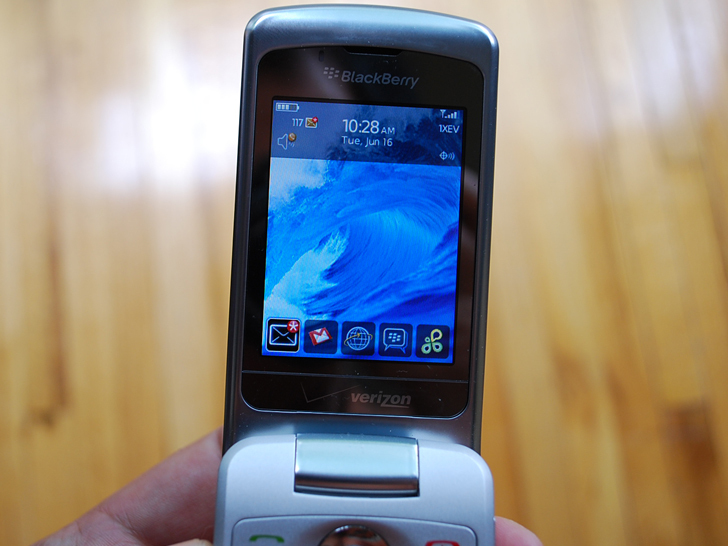 It appeals to those who value a mobile phone that's small to carry around and steers clear of the power users that prefer a full QWERTY device such as the Bold or Curve to get the job done (or in the case of Verizon, the soon-to-be released Tour 9630). The device is solid and easy to learn, which makes it a great starter for those jumping into the BlackBerry world for the first time. SurePress greatly resembles that of predictive text (or T9) found on standard phones, so users can more easily adjust to the typing style. Before we move into the hands-on, let's recap some of the discussion points and key features surrounding RIM's BlackBerry Pearl Flip. When first pulling the Pearl Flip 8230 from the box, a slight smirk came over me. Every time I see this device I laugh a bit. 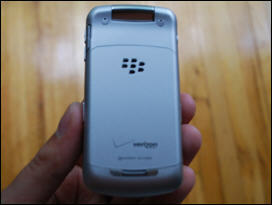 I just can't picture any BlackBerry as a flip phone. Not seeing a screen with a keyboard below just seems odd to me at this point (the Storm being our obvious exception, but that's another story all together). The device feels great when closed. It essentially is the same size & weight as your "standard" clamshell dumbphone. 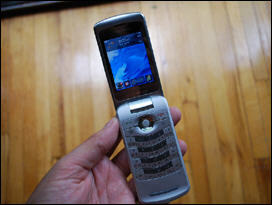 It weighs about the same as my Blackberry Curve when held side by side. The quality is good overall, but the plastic design of the shell took me back at first. The front "jiggles" a bit when played with, but it's by no means loose. It just feels that it could have been tighter and sit better when closed. Overall, the form is sleek and comfortable when closed. The front has a glossy finish to it that makes it slick and stand out. The back and sides are silver, and don't 100% match the front. It seems to me like the color/finish should have been the same through all pieces of the device, which it is not. The Flip feels great in your hand. It takes some adjusting coming from the wider Curve 8330, but it sits well overall. The hardest part to adust to is the length when opened. It sits well, but it feels like it is top-heavy due to the length of the device. I also struggled quite a bit trying to decide if it was a "one-hander" or a "two-hander". 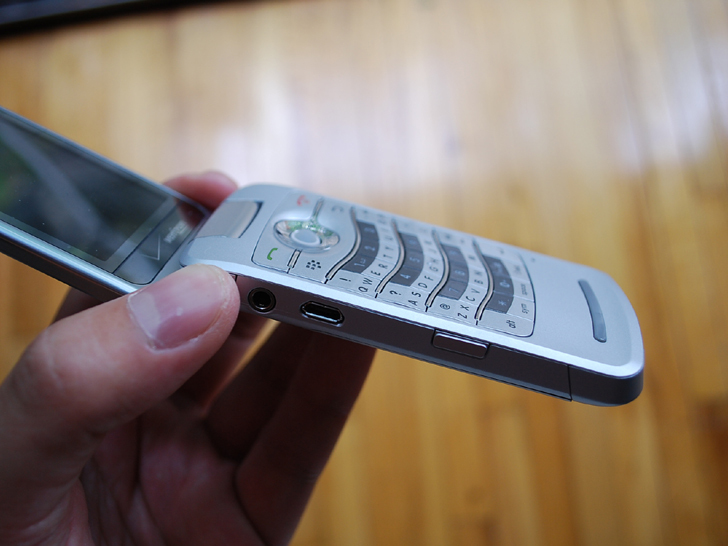 I'm used to using both hands to type on my 8330 at most times, however on the 8230 I found it hard to decide if I was supposed to use one or both hands. I was never a Pearl user, so this adjustment was quite hard for me. As much as I want to use only one hand, I feel that there is no easy way to go about it being that the screen throws off the weight, making it hard to balance when using only one hand. 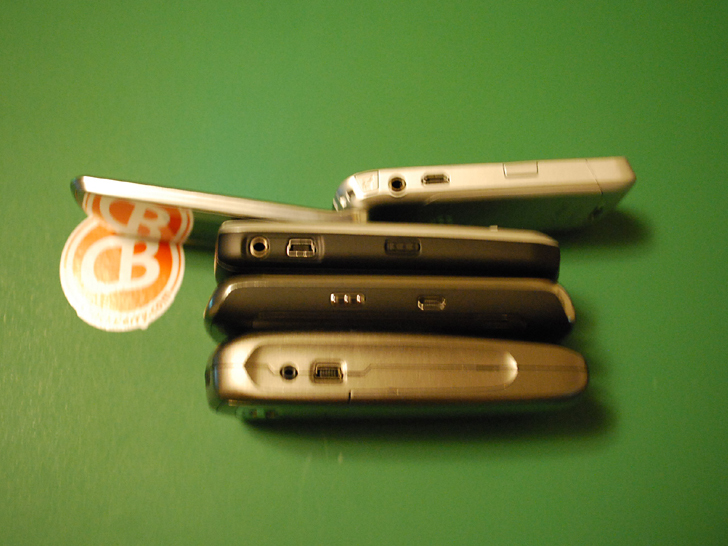 When open, the 8230 is a slight bit thinner than my 8330. It has a solid keyboard. 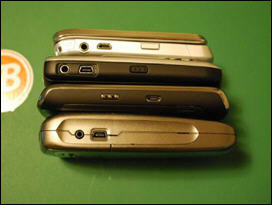 The keys are laid out extremely well, and they fit in well on the device. Even my fat thumbs had no trouble typing, and I never hit any keys in error. The Send/End cluster feels great as well. 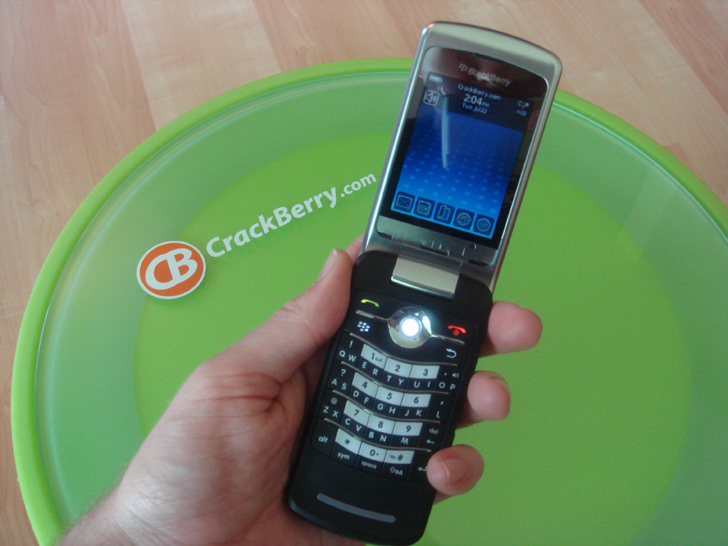 The trackball is recessed to allow the device to close properly. At first it was tough to get used to, but I actually like the way it feels now. You kind of have a "bumper" so your thumb doesn't wander off when trackballing. The female population may have more of a mixed reaction to this recessed trackball design - it's not necessarily as friendly to longer females. 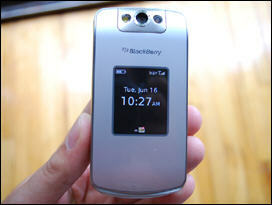 Ladies will want to check out this Pearl Flip review for a female, new to BlackBerry perspective on the device. The device feels very solid when open as well. 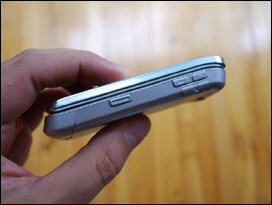 The screen stays open as it should, and doesn't easily flip closed on its own. You can whip the Flip (I'm gonna trademark that line) and it will stay open. 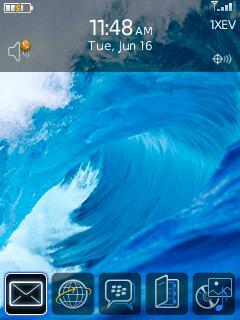 The screen is great as well. It is a good eye adjustment trying to go from a 320x240 screen, to a 240x320 screen. It is bright and clear and looks much better than the screen on my Curve 8330, though based on the resolution I would have thought it should be the same (just my Curve's display turned sideways). Early reviews of the Pearl Flip 8220 often reported that the display didn't appear to have as good of a quality, but I'm happy with the display on the Verizon unit. The side buttons and ports are all laid out very well with no real room for improvement. On the left side is the small Mute button, 3.5mm earphone jack, MicroUSB port for charging/synching and a convenience key. 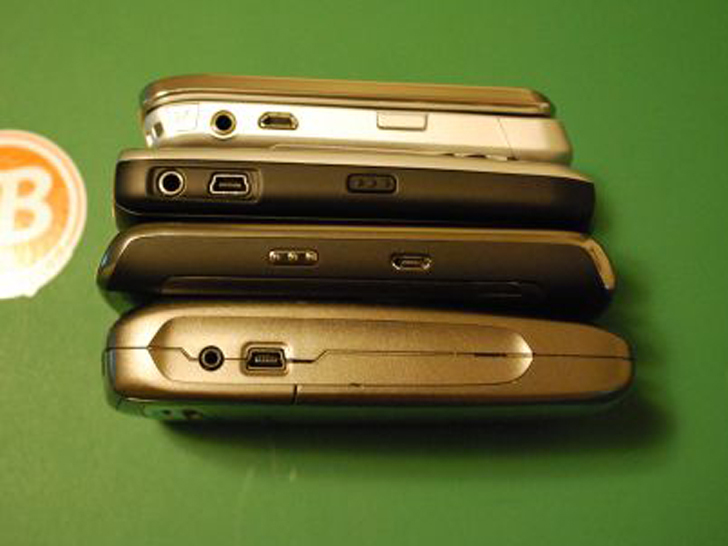 On the right are the volume buttons, convenience key and MicroSD slot. The buttons and ports are laid out very well, and flow nicely with the design. There is nothing lacking, and both the MircoUSB port and 3.5mm jack are very solid and well placed. The convenience keys are just the right size, and don't feel loose or cheap at all. 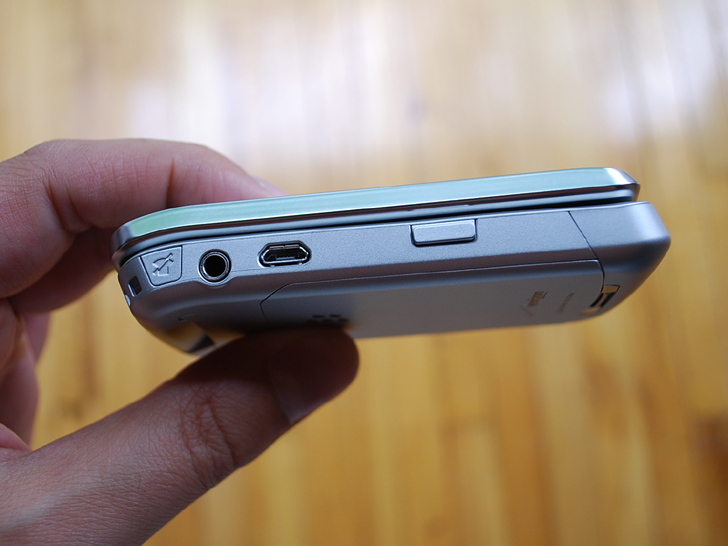 The volume buttons fit right in, placed directly over the MicroSD slot. There is no obstruction from the MicroSD slot cover. The only button that seems oddly placed is the Mute. It seems a bit small and hard to press at times, but I suppose that is the idea behind it. Overall the design is excellent. 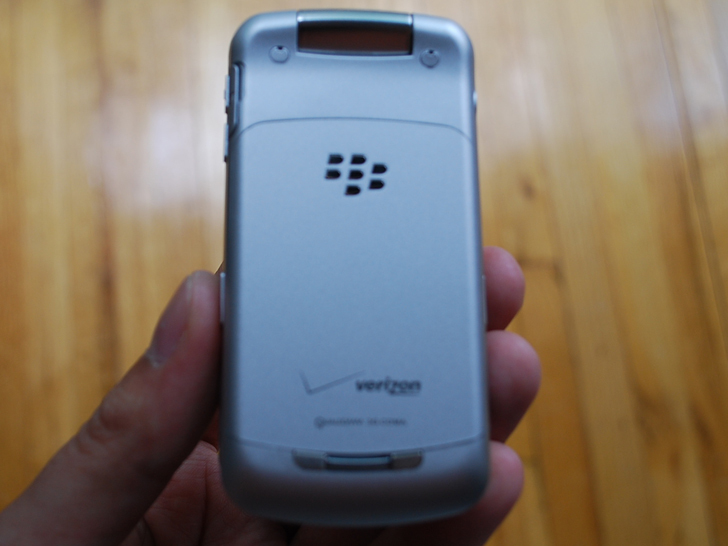 I don't fear that any buttons or ports will become loose with age, and I feel that the device can stand up to the use of a true BlackBerry addict. 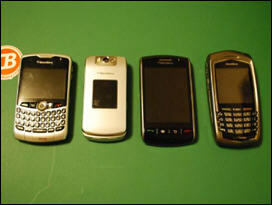 In comparison to the rest of Verizon's lineup, the 8230 fits right in. Where the GSM carriers have a line of full QWERTY devices, I like that Verizon mixed it up and has QWERTY devices like the 8830 and 8330, the touchscreen Storm 9530 and the Pearl Flip 8230. 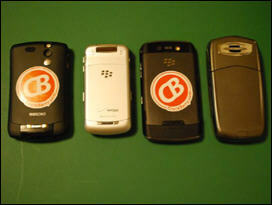 And of course we can't forget the BlackBerry Tour that is on the way. As you can see from the shots below, the size of the 8230 is quite a bit different in comparison. When closed, it matches closely to the rest of the line, but obviously when open it sets itself apart. The weight of the device lands it somewhere heavier than the 8330, but lighter than the 9530. 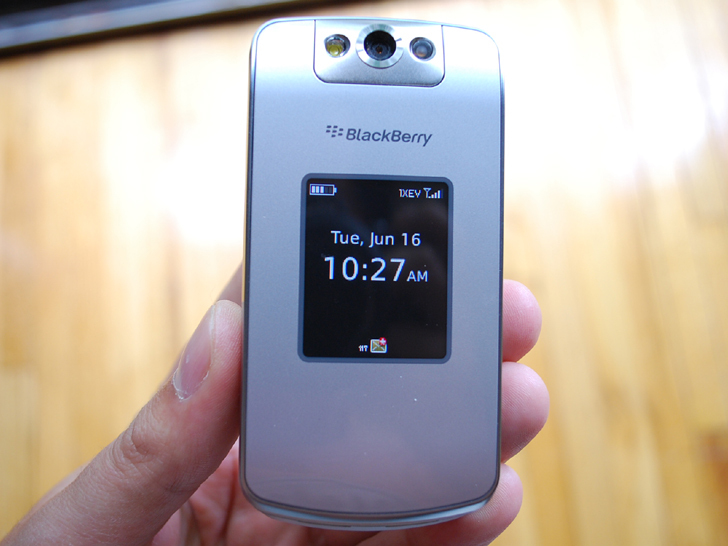 The BlackBerry Pearl Flip 8230 uses OS 4.6. 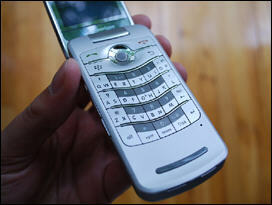 This OS is the standard for recent devices like the Bold and Curve 8900. Only the Storm 95xx series ships with a higher OS. The features of 4.6 are a big step up from the soon to be outdated OS 4.5. 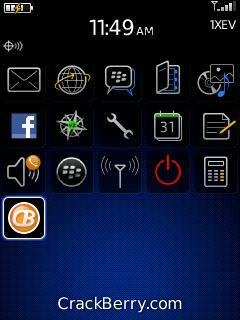 The Precision Zen theme is the default, and gone are the multiple BB Dimension L, Zen, Icon and Today themes. Things like BlackBerry Messenger recieved an overhaul in this OS, as well as the browser and the addtion of IM and Social Network applications. The OS is easy to use and navigate. First time users will want to check out some of our BlackBerry 101 articles for information on using message folders and BlackBerry Messenger. There is plenty of juice under the hood to keep things running smooth as well. 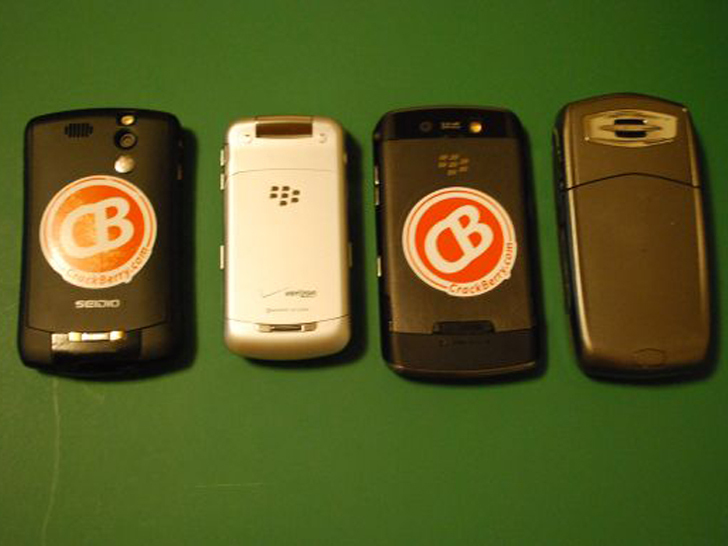 RIM is currently working on OS 5.0, which will further up the ante of the BlackBerry operating experience. Based on this document which surfaced sometime ago, it appears that the Pearl Flip is slated to be one of the devices that will get the benefits of 5.0, though at present we have heard much more chatter about 5.0 for the Bold / 8900 / Storm and Tour than for the Pearl Flip. But hopefully it will get this treatment. Device with 2yr contract is $129.99 (after $70 mail-in rebate). Basic 450 voice minute plan is $39.99, added to the $29.99 Email and Web for BlackBerry (required). 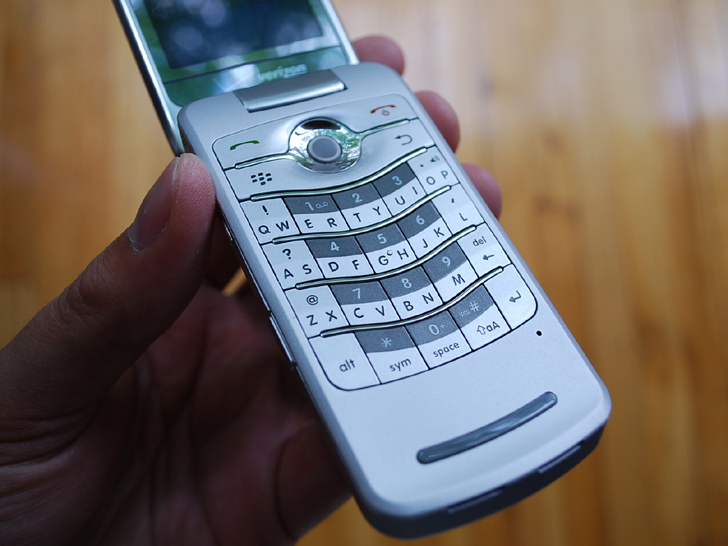 With basic plans across the board, the total cost of owning the Pearl Flip 8230 for 2 years would be estimated at about $1,809. A higher minute plan or service for BES will drastically add to this pricetag. Adding in any test message plan, VZ Navigator, insurance, visual voicemail and other features will bring the total to well over $2,000.